Buying a vehicle can be difficult. Customers sometimes feel anxious about their transportation needs, and dealership sales staff often cross the boundary between bold salesmanship and illegal practices. Fortunately, several state and federal laws protect Texas consumers when unscrupulous dealers act dishonestly toward their customers. If you think you have been a victim of auto fraud, contact Allen Stewart. The consultation is free. Whether the dealer advertised one thing and delivered another, misrepresented the car’s past history, or packed the contract with items and services you never bargained for, the auto fraud attorneys of Allen Stewart, P.C. can help you get the justice you deserve. NHTSA states that more than 450,000 vehicles are sold every year in America with false odometer readings. And not knowing your car’s true mileage can cost you thousands in repairs. 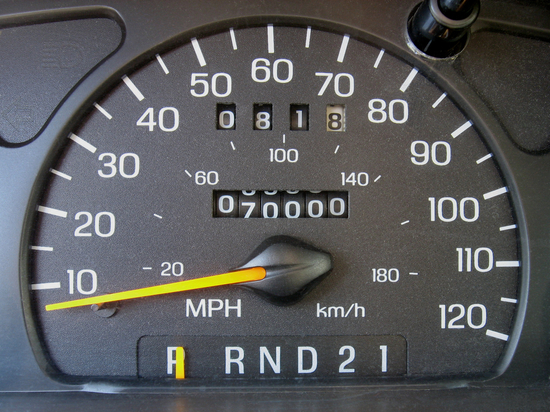 NHTSA estimates that odometer fraud costs American car consumers more than $1 billion each year. Texas consumers can use both the Federal Odometer Act and the Texas Deceptive Trade Practices Act to sue dealers in cases of odometer fraud. Other forms of auto fraud include spot delivery scams, incorrect credit scoring and failing to disclose a new vehicle’s damage history. Spot delivery scams happen when a consumer finances a vehicle through the dealership under a lower interest rate only to have the dealer claim the financing “fell through” after the consumer takes possession of the vehicle. The dealer then convinces the consumer to return and sign new paperwork under different, less favorable terms. Incorrect credit scoring scams occur after a consumer finalizes price negotiations with the salesperson. The dealership’s loan officer then tells the consumer their credit score disqualifies them from financing, or financing at a specified promotional rate. Customers either must finance the vehicle at a higher interest rate or walk away entirely. Sometimes dealers commit fraud by concealing a vehicle’s damage history. If the dealer hides or lies about past crashes, damage stemming from neglect or flood damage, or knowingly provides you with an inaccurate history for the vehicle, the dealer has violated the law. If your vehicle dealer used any of the above methods that you relied on to buy your vehicle, you may have a valid legal claim. If you suspect that the dealership dishonestly sold you your vehicle, contact us today. What is the Texas Deceptive Trade Practices Act? What is the Federal Odometer Act? My dealership lied about crash damage. What do I do now?